Learn how to set goals, increase your productivity & free up time to reach your life + business goals. This post contains affiliate links. For detailed information read the disclosure policy. Welcome! Let me tell you about this thing I am excited about and why I love it! Check it out here. In 2011 I traveled from Melbourne, Australia to Hobart, Tasmania. It was wintertime and cold. The winter clothes I brought along with me were limited because somehow I imagined that in Australia it´s always hot – which wasn´t the case. Thankfully there were a bunch of thrift shops in Hobart. I went in bought some knitted sweaters and a jacket and was fine for the upcoming months. My travels continued into the tropics a half year later and I donated all the stuff in a charity store in Sydney before I left. The clothes served their purpose and after that I simply let them go. While traveling it`s much easier to combat clutter compared to our homes. Our luggage offers a limited space and we feel the negative impact of to much stuff, in form of heavy luggage immediately. At home, it´s completely different. The majority of our possessions are accumulated over a longer time period. We have more space than just a luggage and the little bits and pieces seem to accumulate and to hide in every corner of the house. Cupboards, drawers, shelves, and boxes offer plenty of space for clutter. As a consequence, we still keep the stuff even though we don’t use and don´t need them anymore. Several studies prove that accumulated clutter in our homes has a negative effect on our well-being and on the quality of our lives. A study of DePaul University, Chicago found out that we not only become attached to the objects we own, but also identify with them. Yale School of Medicine found out that letting go of the things we own literally causes pain in our bodies. The same regions in our brains are active during decluttering as during experiencing physical pain. No wonder that it´s so hard to let go of stuff. Princeton University, on the other hand, discovers that clutter is restricting our focus and adversely affects our productivity. Ever experienced the situation that you needed to focus on your studies, on a project or on an important work and first thing you did was cleaning up the room? If so, you might have sensed subconsciously the connection of a cleared room and focus. Besides our ability of focus, clutter also affects our mood in a negative way as researchers at UCLA (Center on Everday Lives and Families) discovered. Clutter does more harm than good for our mental health. To much stuff in our environment overstimulates our senses. A cluttered home makes us feels overwhelmed and helpless because we have the feeling that we are never done with cleaning and organizing. We need more time to clean & organize clutter and therefore have less time spending it with our loved ones. To much stuff leads also to the fact that we are constantly distracted and can´t focus on the things we want. Our productivity and creativity suffer in chaotic surroundings. Too much stuff affects our physical and our mental well being in a negative way. Too much stuff brings the cortisol levels in our body to rise and leads to stress. The underlying message of clutter is that we always have to do something. Therefore a cluttered space makes it more difficult to relax our mind. Clutter simply doesn´t make happy and as scientific research shows rather does the opposite! GET THIS BOOK FROM AMAZON! Before we get started I have a special announcement. At the end of this post, I’ve linked to a SPECIAL deal where you can learn more about home management, time management, productivity, and goal setting! It’s a bundle with 47 products on sale for 97% off the original price! Don’t miss to check out this incredible offer! It’s only available until Monday 25th February! 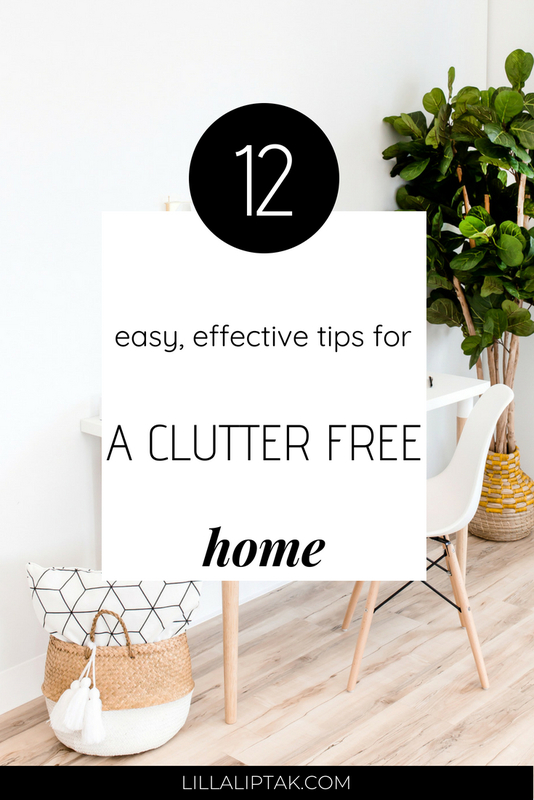 As this blog is all about creating a happy, balanced, awesome life I share with you 12 easy strategies for a clutter-free home. Make a plan for the week about the things you need to buy and go goal oriented into the supermarket to buy only the things you need. You can do window shopping whenever you want, but avoid emotional driven spontaneous purchases. Ask yourself honestly if you really need it or if you just want it. Make a special wish list for your birthday or at other special events where your loved ones want to shower you with presents. This list is special because it only has items on it which you really need. Give this list to people who want to buy you a present. This way you just receive things you really love and need. In case you do not need anything at all, set up a savings box where your family and friends can contribute as much as they want. Once you want to buy something, you can open this savings box and use the given money for it. For example for your next travel. Instead of a bunch of low-quality items, rather buy fewer products of higher quality. For example for the basics of your capsule wardrobe. The high-quality products will last longer. You will save time and eventually even money because you don´t have to replace them so often. Decide consciously to make room for media free time. No cell phone, no internet, no tv. You can do it every evening at the same time for 1-2 hours or once per week for a few hours. The key point here is that you consciously take time for yourself by implementing a media free time. We all know how it feels to have a mailbox full of unwanted advertisement. Say no to unwanted advertisement and only yes to the things you really care about. Instead of multitasking do consciously one thing at a time. Focus on the thing which is relevant to you at that time, instead of doing several things at once. This way you will be much more satisfied because you´ll get more things done. Use the productivity planner to maximize your focus and increase your productivity! GET THIS PLANNER FROM AMAZON! Make time for silence and conscious breaks in nature. Time in nature will charge your batteries and you will return energized and happy. If you love books as much as I do, join the library. The library is a great source of awesome books, audiobooks, and DVDs. Read my book recommendations list with over 90 amazing books for inspiration. This one seems obvious, but in daily life, we don´t really practice it. One effective way to get rid of stuff constantly is to give away 1 item for each new item entering the house. This way it´s at least not more clutter coming into your physical space. Spring and autumn give you good options to declutter your closet. Clothes you don´t need anymore can be simply sold or donated. Clear out your bathroom once a month. Think about the items standing around in your bathroom. Which ones do you really need? Do you need more than 1 shampoo, 1 shower gel, 1 body lotion etc? Put away the multiple items into a box and use them up one after the other before buying new things. You can get the Ultimate Productivity Bundle with 46 resources (eBooks, eCourses, workbooks, planners and more) for only $49,97! This bundle was created to help you with goal setting, planning, time management, and productivity! Check out all the details about the entire bundle here! Did you like this post? If so share it with your friends on Pinterest! 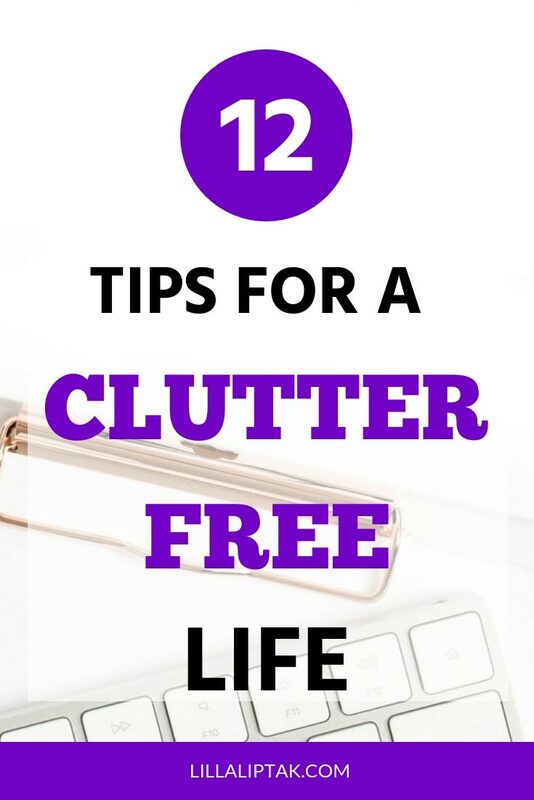 How do you get rid of clutter effectively? Share it in the comments below! 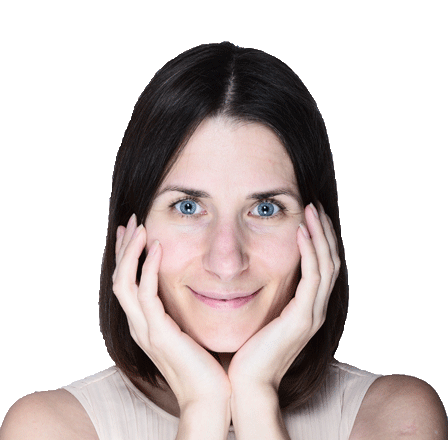 Hey, I'm Lilla a smoothie loving designer, manager, mom and online entrepreneur. I'm passionate about personal development, blogging & online marketing. My mission is to help ambitious creatives reach their goals, start their blog and build their soul-based online businesses. Hey, I´m Lilla! Here's the place where you'll learn actionable strategies to reach your goals and to build and grow your soul based online business.